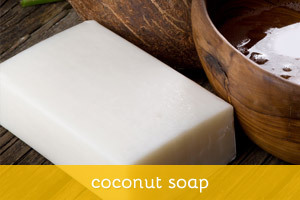 Coconut oil is one of the most commonly used oils in cold process soap making, along with olive oil. It’s also incredibly popular among natural beauty bloggers and DIYers, due to its amazing skin properties. 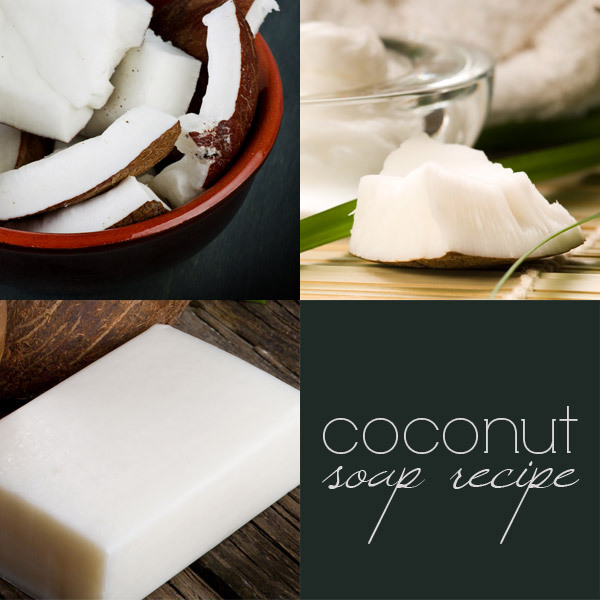 But there are two ways to incorporate coconut-derived ingredients in homemade soaps. In fact, there’s another coconut-product that is a bit underutilized in soap making: coconut milk. So many people talk about making milk soap, either from regular cow milk or from goat’s milk, that we can easily forget about the benefits of using coconut milk in soap making. Coconut milk will soothe and gently moisturize your skin, and the extra hydration will make it fell soft and smooth. Go to your favorite lye calculator to run the numbers. 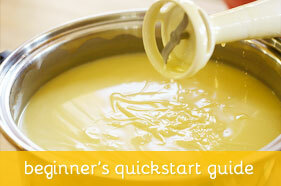 Use 5% superfat and replace the water with coconut milk, just like you would with goats milk. Because coconut milk doesn’t seem to “burn” at high temperatures, some people will just mix it directly with lye. But just to be on the safe side, I prefer to use it as cold as I can. You must have seen already dozens of recipes that use pure coconut directly on the skin, from scalp treatments to body scrubs, to lotions. But if coconut oil is such a great moisturizer, why the only 100% coconut oil soap recipes are for laundry soaps? For body soaps, it’s generally recommend that you don’t use more then 30% coconut oil in your recipes. Coconut oil is a very potent degreaser, and while a 100% recipe will make for great laundry soap, it can be too drying to use on the skin… Unless you superfat. 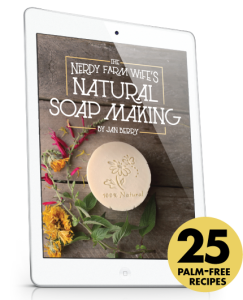 There’s a great post by Heater Dessinger from Mommypotamus, where she says that “by adding 20% more coconut oil than the lye can convert to soap, you end up with a luxurious body bar. Of course, this doesn’t work with most vegetable oils which go rancid easily – coconut oil’s high shelf stability is what makes it a good choice here”. 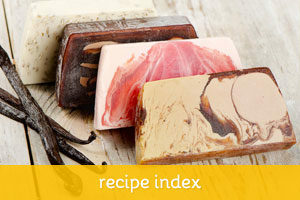 Head over to her blog to see how she makes a laundry soap with 1% superfat and a lathering skin bar with 20% superfat. While you’re there, make sure you check out her ebook DIY Organic Beauty Recipes, where she shares 50+ step-by-step recipes for making your own all natural, non-toxic, organic beauty products that are fun to make and cheaper than their store bought counterparts.